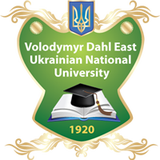 Associate Professor of Sociology, East Ukrainian National University named after Vladimir Dal Andrey Melnikov was in the United States six weeks academic program "Research institutions of American society: politics and political thought of the United States." Bureau of Educational and Cultural Relations U.S. Department of State on a competitive basis selected the 18 academics from around the world to attend the Summer Institute for the Study of the United States. Ukrainian representative was elected dalivets. U.S. State Department program includes two components: an intensive four-week academic lectures and a two-week study tour by the American states. Such training can not only improve the quality of teaching in American universities outside the U.S., but also extends the relationship develops mutual understanding between scientists from different countries. Participants of the summer institute attended Harvard University (Cambridge), University of Massachusetts (Amherst town), Connecticut (Storrs m), Pennsylvania (m Shippensburh) and Virginia (m Sharlotsvil), where about 50 attended lectures. Thanks to accumulate experience teaching social and humanities, they increased their level of scientific knowledge in the exploration of social institutions, which is useful for research and educational process. In turn, Andrew Melnikov at the University of Massachusetts introduced the report presentation that tells about the historical and social development of Ukrainian society. Also in the program included meetings with senators Pennsylvania, Massachusetts and Mayor Holiok (Massachusetts), exposure visits were conducted at Yale University (New Haven, Connecticut) and Columbia University (New York, NY). Visiting sessions of the Congress of the United States (Washington DC), Congress Pennsylvania and Massachusetts allowed the practical study of the multilateral activities of these legal institutions and mechanisms to learn their work "inside". "This trip has allowed not only to see how U.S. government policy is formed, but also to create partnerships between different countries - divided impressions Associate Professor of Sociology, University of Dreams. Dal Andrei Melnikov. - U.S. State Department has provided not only theoretical knowledge but also extensive practical experience, which I received in official missions. " After completing training at the U.S. State Department hosted an international poster session "Around the World in the day" on which Andrew Melnikov, presented poster presentation "Ukraine: Birth of a Nation", dedicated to the Ukrainian society. Now, Andrew Melnikov as graduate academic programs U.S. Department of State has full and free access to relevant information resources for further research and may participate in these educational projects and grants.